Apartment Dany is located in the villa district on the outskirts of over 3000 years old Pula next Verudela park. The apartment is located at the second floor of the family villa Dany, which is 500 meters far from the sea. Beaches: 1 km far from the villa is Verudela park where are several beaches. Parking next to the park and the entrance to the beaches are free of charge. The beaches are of different types: slow bottom, coarse sand, gravel, pebbles, ideal for children. Possibility of scuba diving on the reefs, diving from height of 6-8 m, all about 1500 m from the house. 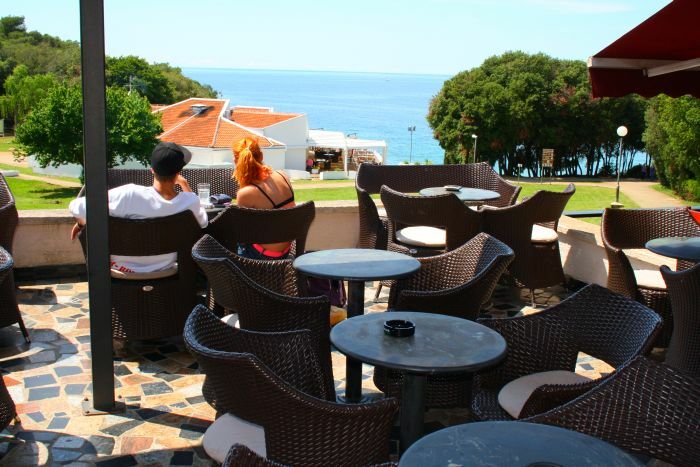 There are several wonderful cafes, restaurants and fast-foods in the Verudela park. Apartment Dany is air-conditioned, wi-fi free available. Bed-clothes included. Size: 3 rooms with a kitchen, for up to 8 people. Bedroom 1: double bed, single bed, air-conditioning, terrace entrance (terrace is joint with bedroom 2). Bedroom 2: double bed, single bed, terrace entrance (terrace is joint with living room/kitchen), air-conditioning. Bedroom 3: 2 single beds, folding armchair, air-conditioning. You can sit under the shelter, or by the garden fireplace behind the house. You can keep your bikes down in the house.